Need trustworthy and reliable carpet cleaning services in North Finchley? Then we at Magic Carpet Cleaning can definitely help. Our excellent carpet cleaners are among the best you can find in your area. Our professional technicians can be at your address in no time and help you with all your carpet cleaning requirements. Call us now on 020 8861 0979 and our team of experts can provide you with a free quote as well as help with your arrangements. Are you tired of applying your own carpet cleaning methods to you carpets, rugs and upholstery in North Finchley N12? Then stop tiring yourself out and get the services of Magic Carpet Cleaning. We have all the cleaning materials, machinery and techniques for a perfect clean. We offer steam carpet cleaning, dry cleaning using the most cost effective cleaning products to get the job done well. Once you call on us we are there and we will do the job right from the first go. With Magic Carpet Cleaning in North Finchley (N12) you are assured of fast easy and reliable carpet and rug cleaning services as well as stain removal. 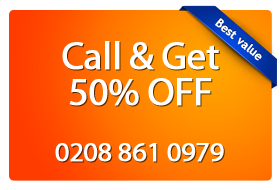 You can book our reliable cleaning services in North Finchley on 020 8861 0979. We at Magic Carpet Cleaning are available 24/7 so our customers can find us in a convenient for them time. Our support assistants are ready to provide you with a free price cleaning quote and help you with all the arrangements. They can guide you through the process and take all the necessary steps to send a team of local carpet cleaners. On the other hand, you can drop us a line via our quick contact form. Leave your message or inquiry and our team will answer you as soon s possible.